Google has changed the way notification long-pressing works in each of the last few versions of Android, and N is no different. Long-pressing again gives you quick access to notification options, but it's even quicker now as you don't have to leave the notification shade to see them. 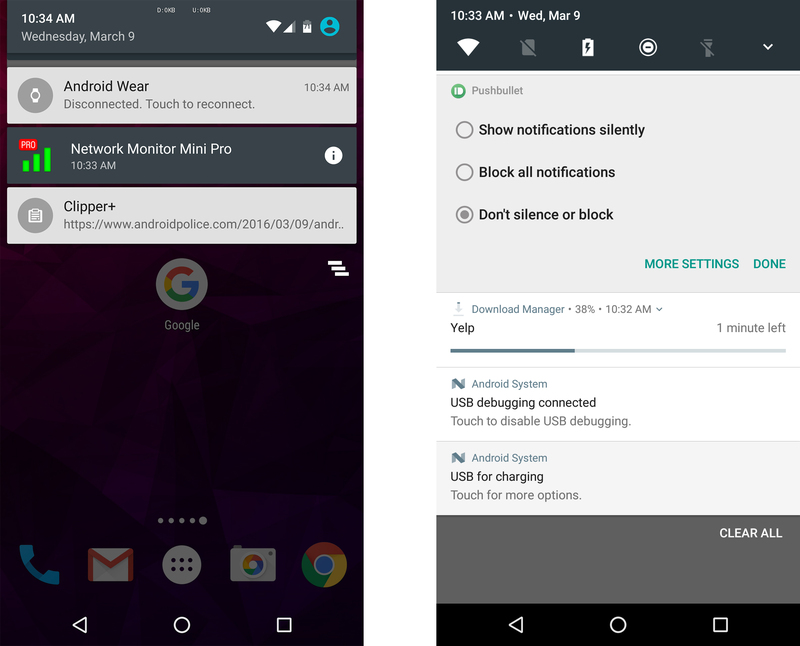 As you can see above, the Android 6.0 UI (left) just displays the source app of a notification and has a button that links to notification settings. 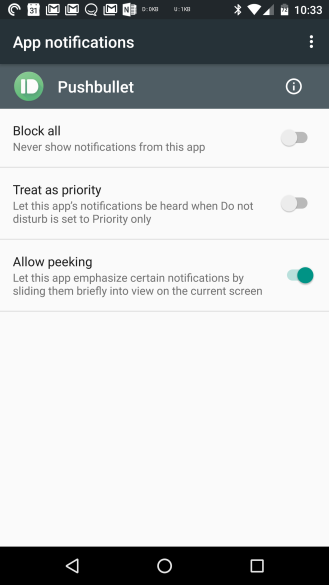 In Android N (above right), a long-press opens an in-line menu of notification settings. 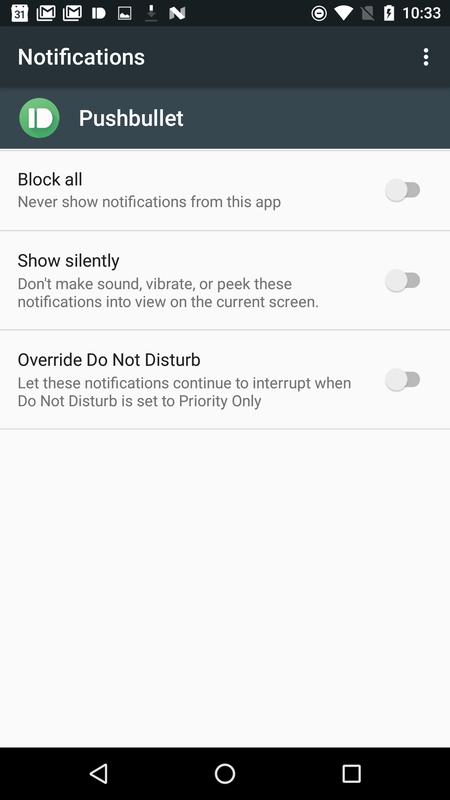 You can show notifications silently, block notifications, or don't silence or block. Android N notifications show the source app without a long-press, so you don't need to worry about losing that. Tapping through to "more" settings offers additional control in Android N. You have the option to override do-not-disturb, essentially make the app a priority notification. The silent and block options are in there as well. 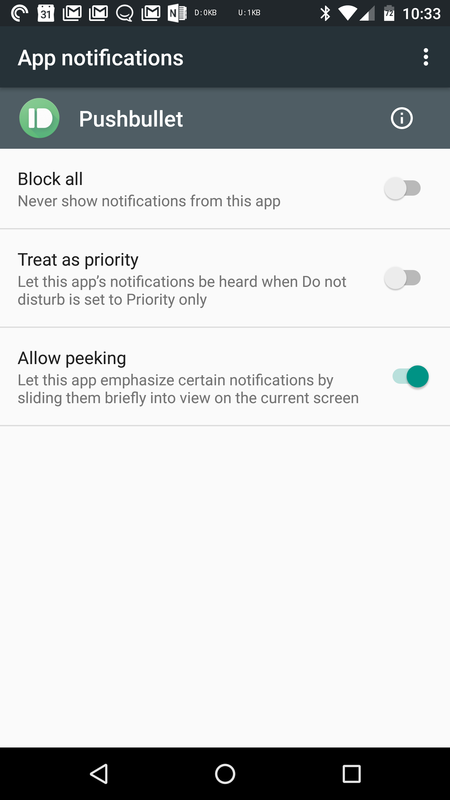 Interestingly, the standalone peeking (heads up) toggle is missing in Android N. This is just a preview, so the specifics of these features might change before release.